Growing up lapping Snow Valley in the years of Schighridj had a big influence on WeatherMTN and what we view important in life. Cheese wedge takeoffs with flat landings, t-bolt stances, slushy halfpipes, and no gloves; the “Sun” beanie was designed with those years in mind. 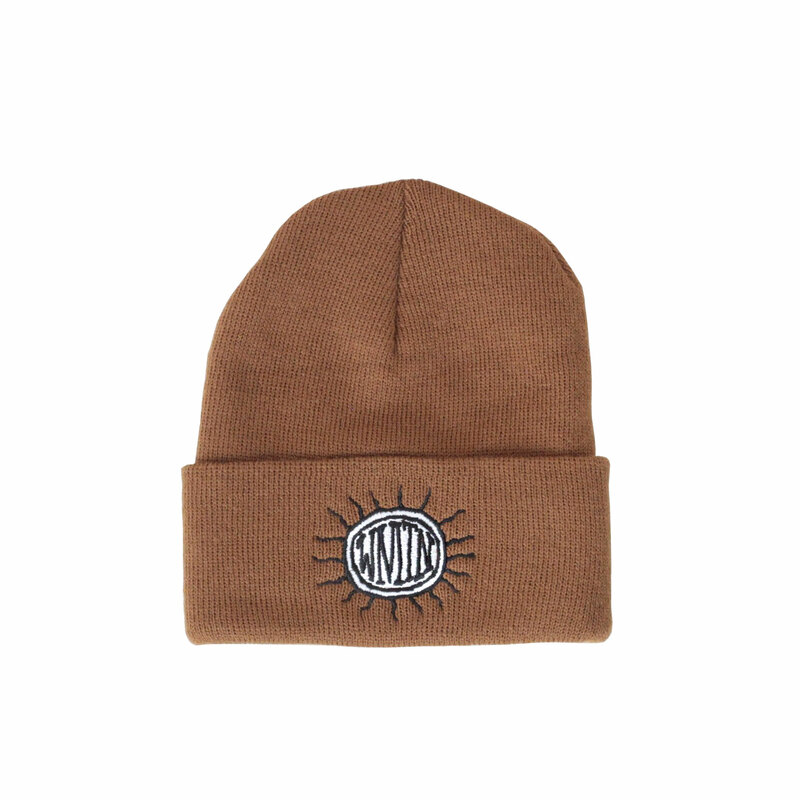 The “Sun” beanie is a standard weight, flat-knit beanie with a two-tone logo embroidery on the cuff. Perfect for everyday and “on-hill” wear. Designed in the San Bernardino National Forest and Manufactured in the U.S.A. The back closure features a standard plastic snap that allows the hat to be adjusted to fit most. The hat is finished with our WeatherMTN label at the interior sweatband. Designed in the San Bernardino National Forest.